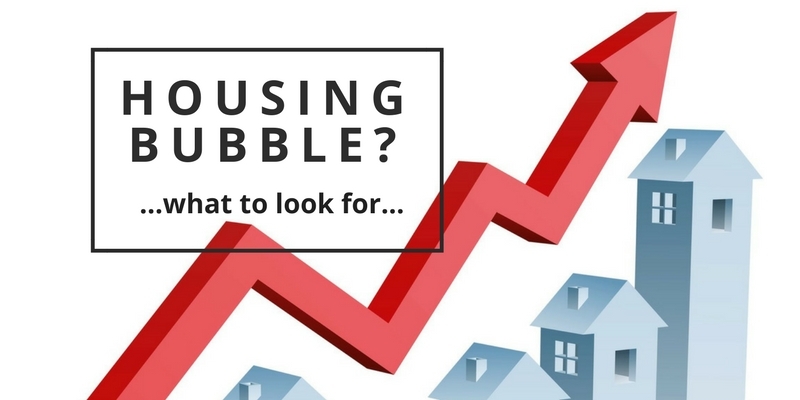 Real Estate Blog Are we in another housing bubble? The idea of a housing bubble seems so fresh in all of our minds. The majority of American’s experienced the last housing crash first-hand. The effects ranged from none (for those who were lucky enough to keep their homes and stay put) to disastrous (for those who lost their jobs, homes and more). But the effects of a housing market are an entirely different article. For today, I will focus on what caused the last housing bubble, how today’s market is very different, and what we expect to see in the future. I wish I could tell you what is going to happen, but of course – I cannot. I spent a large majority of my childhood trying to read minds and predict the future, but it turns out – I am not actually an oracle. I know, I was incredibly disappointed as well. All home purchases are large ones. Compared to buying a shirt, or even a new car – the dollar amounts can be overwhelming. In order to get nicer, larger homes in better neighborhoods – many people elected to take on ARM or Interest Only loans. These loans start out with lower payments, but they adjust after 2-3 years in many cases automatically. The rates are unpredictable, and at face value these seem like a terrible idea. But you have to remember, at that time – borrowers believed that home values could only go up, so they assumed there was no risk. They would accumulate equity, and re-finance into a better loan. After all, they had 3 whole years to do this – plenty of time. Well, as we all know now, that did not happen. As a matter of a fact, part of what drove demand to fall for housing was the slight drop in home prices. The people who were already in over their heads and waiting for equity to flood into their loans started to panic when prices started to dip. 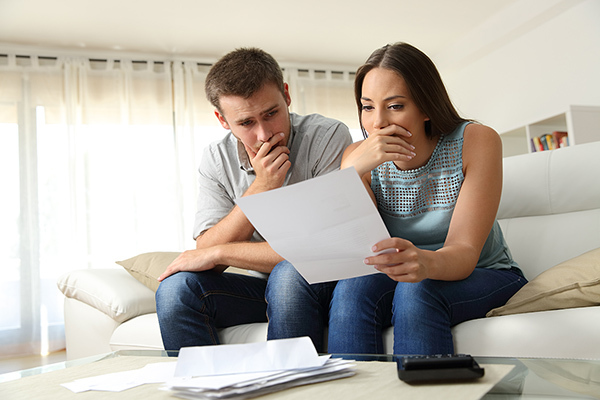 Before they knew it, their mortgages were resetting and their payments were going through the roof! At the height of the market people who hadn’t previously considered selling their homes threw their hat in the ring. They wanted to see how much they could get for their homes! It was a really great time to be a seller. New construction was also booming. Homes and neighborhoods were going up at record rates. The people behind new construction are investors, and as homes stopped selling and started losing value – many investors filed for bankruptcy and abandoned their projects in an attempt to prevent losing money. So as residential homes started to sit vacant at the end of the housing bubble, many new construction neighborhoods sat unfinished. The builders and investors filed bankruptcy in many cases, and these homes joined the “bank owned” marketplace. How are things different now? A few major changes resulted from the last housing bubble and market crash. The first was the Dodd-Frank Financial Reform Law. The Dodd-Frank law is a 2300 page piece of legislature with many components, from lending regulations to trading oversight. One of these components is the Consumer Financial Protection Bureau. The CFPB was created with one goal, to oversee lending regulations and prevent subprime and predatory lending. Prior to this, there was no specific department monitoring residential mortgage lending. As you can imagine, that gave banks a green light to sign mortgages and sell off securities at unprecedented rates. The CFPB prevents mortgage brokers from earning higher commissions from certain types of high risk loans as well. This helps keep lending fair and carefully regulated. Another key aspect of the Dodd-Frank laws is regulating how banks can invest the money from mortgages and securities. This rule, known as the Volcker Rule limits speculative trading and eliminated proprietary trading. Two aspects of the market that made mortgages incredibly fragile during the first market boom. This act also created laws that would allow large banks to be disassembled in a crisis, via a standard method. This helps prevent major bankruptcies and eliminates the “too big to fail” problem that existed in 2008. Not everybody loves the Dodd-Frank act, and that’s ok. There are arguments that it hurts our ability to compete in a global business market, so some alterations have been suggested. Regardless, the changes that came from this act completely altered the way mortgages are handled in the US – strengthening the housing market and lending practices. This chart shows five homes (randomly selected – it was actually much harder than I expected to find examples that sold in the same years in the same neighborhood) in the Fishers Landing area of Vancouver. Each home sold in 2007, and again in 2017. I took the amount the home sold for in 2007 and calculated the equivalent Consumer Price Index for the sale month in 2017. Basically, what would one dollar from 2007 be worth in 2017. Or, what would the sales price of this home be equivalent to in 2017, taking ONLY inflation into consideration. Now, remember that the Consumer Price Index is not just for housing – it’s inflation from all consumer spending. It basically reflects the value of the US dollar in our own economy. As you can see, most of the homes sold in 2017 for exactly what their CPI said they should be worth. One sold for more, and one even sold for less. So homes are not selling for way over their value – their value is actually very closely related to their inflation amounts. There are two flaws to this calculation – one is that it doesn’t reflect income. 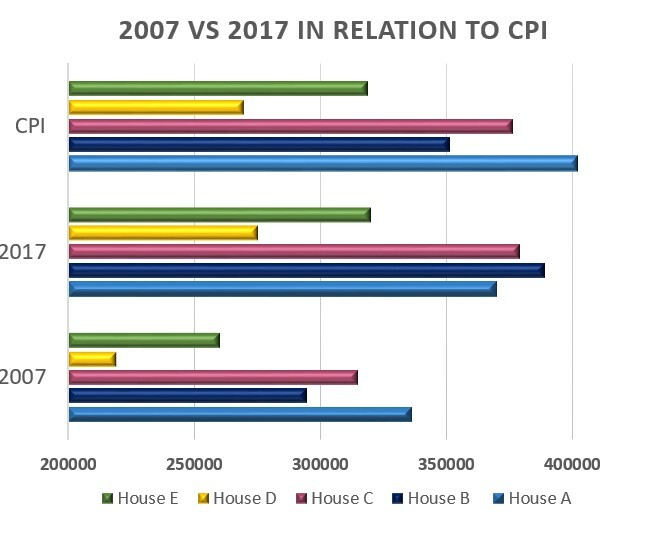 CPI is calculated only on spending and static incomes (things like social security), but doesn’t take private incomes into account very well. This is all reflective of “cost of living” which varies dramatically from one location to the next. If you look at how much our cell phone bills and cable bills have gone up in the past decade, it’s even more dramatic. The other flaw is that just because spending it up, and CPI is strong – doesn’t mean the economy will necessarily follow. The economy is much harder to predict. So what does this mean for housing? Housing is very strong right now with no sign of a current housing bubble. The majority of our clients are cash, or 20% down borrowers. 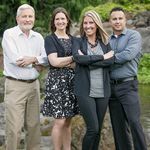 The First Time Home-buyer clients I have worked with have solid employment, down payments, and went through strict lending regulations to prove their credit worthiness. We no longer see people wandering in with a loan they found on their doorstep. I’m not even being sarcastic there – banks were just handing out loans to random strangers during the last housing boom. Our clients biggest complaint is how many times the banks ask for their documentation! We always ask them how many times they would ask for a pay-stub from a stranger that wanted to borrow $300,000 from them. That usually helps explain the banks compulsive behavior a little. Banks are no longer willing to take on questionable mortgages because they are not allowed to turn around and dump those loans on other investors. So they are more careful with their files. Many of the homeowners we work with today either lost a home during the previous crash, or knew someone who did. This makes the buyers a lot more experienced with buying than the previous generation. They are very careful about making sure the home is one they can stay in for a while. People who purchase a house with cash, or even 20% down, won’t likely walk away from that house when the value drops. It would be money directly out of their pockets. Currently housing prices have recovered, and are rising at a more bearable rate. Housing crashed over the course of 7 years, and then recovered in 3! It’s difficult to see prices go up as quickly as they did and not feel a little uneasy about it. The truth is however, prices have only recently made a full recovery. It just happened right in front of our eyes, and seemed more dramatic than it actually was. The good news is that things are calming down. Prices are still going up, but slowly and more predictably. We expect to see smaller, more steady gains over the next year and into 2019.